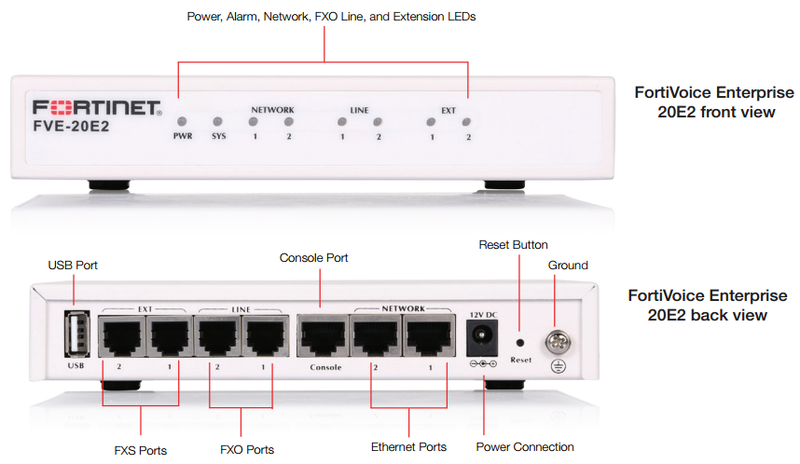 FortiVoice Enterprise Gateway 20E2, 2 x 10/100 ports, 2 x FXO, 2 x FXS, 8GB storage, 20 Extensions, 4 VoIP trunks. Call Center and Hotel licenses supported. The FortiVoice Enterprise IP PBX voice solutions give you total call control and sophisticated communication features for excellent customer service and efficient employee collaboration. Powerful, affordable and simple, FortiVoice Enterprise systems deliver powerful features and value to offices with up to 3,000 phone users. FortiVoice phone systems include everything you need to handle calls professionally, control communication costs and stay connected everywhere. Multiple line types Support for PRI (T1/E1) digital lines, VoIP and traditional analog lines, depending on the model. Multilocation networking Integrates multiple locations, around the block or across the country with no long-distance charges. Rich call features Line/extension appearance, call queue, call barge, phone profile, ring group, call recording, rule-based dial plan, individual/group voicemail, and much more. Flexibility Multiple mode scheduling, flexible number management, re-assignable extensions, and caller ID modification. Ease of configuration Visual auto attendant config, built-in DHCP server, auto phone provisioning and web-based management and user web portal. Comprehensive system monitoring Real-time call status monitoring, call statistics, call logs, and call reports, and network traffic capture. 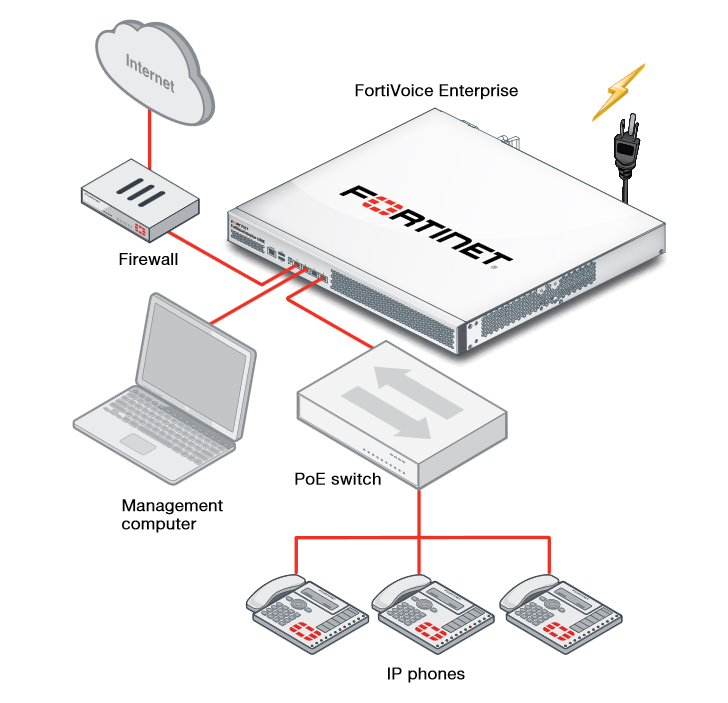 Download the Fortinet FortiVoice Enterprise Data Sheet (PDF). Download the Fortinet FortiVoice Enterprise Phone System Comparison (PDF). License to add 10 FortiVoice Softclients to FortiVoice Enterprise system. License to add 100 FortiVoice Softclients to FortiVoice Enterprise system.